Using new or reclaimed material, let’s renew your space and make it just the way you want it! 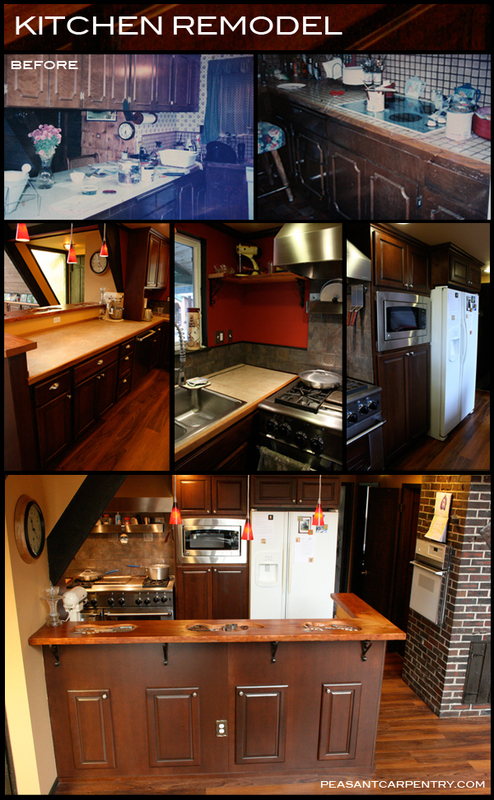 This kitchen was remodeled using some prefab cabinets along with custom cabinets and a bar that were built to match. The bar top is made from a VG Fir plank that was found out in the client’s barn. A decorative shelf (middle image) was also built from the fir plank in the corner above a laminated counter top that can be lifted to access the garbage and recycle bins. The counter tops were laminated and then edged and trimmed with cherry. 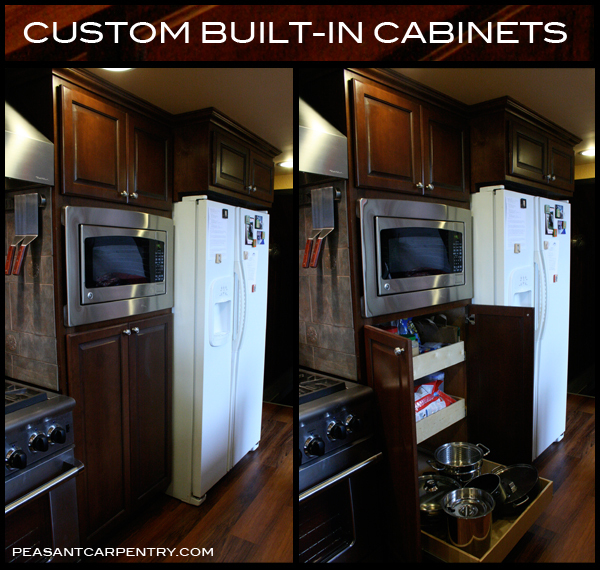 In removing many of the upper cabinets from the previous kitchen design, a lot of storage space was eliminated. In order to make up for lost space a bank of cabinets were modified to fit under the angled wall of the A-frame’s dining room.